The deputy head of Russia’s PACE delegation told reporters that Russia won’t be returning to the organization anytime soon and having PACE monitors at Russia’s parliamentary polling stations was out of the question until the President decides otherwise. “Our return in October is out of question. And I would rather not call a January return a sure prognosis. I think that the decision will be made at the highest level, most likely by the president,” MP Leonid Slutsliy (LDPR) told TASS on Wednesday. 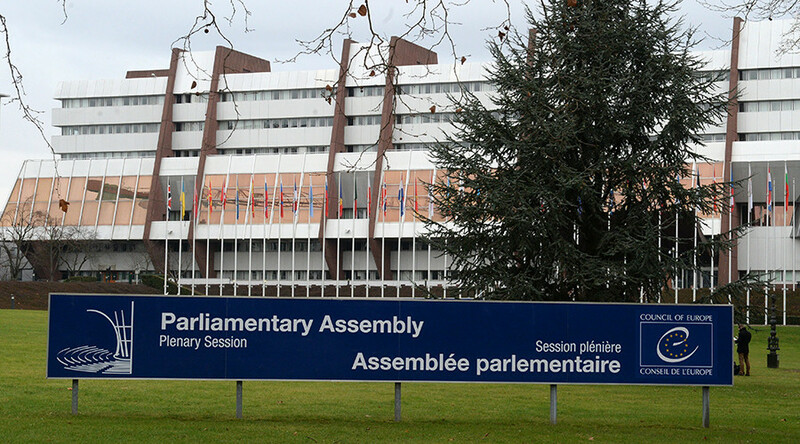 The parliamentarian also confirmed that Russia had decided not to invite PACE (Parliamentary Assembly of the Council of Europe) to any Russian elections before the assembly lifts its anti-Russian sanctions that were introduced over two years ago. “Before the discriminatory decisions concerning Russia are reconsidered in Strasbourg, we don’t see inviting the PACE delegation to monitor State Duma elections as possible,” he said. Russia’s relations with PACE soured in April of 2014 when the assembly approved an anti-Russian resolution after a political crisis erupted in Ukraine. PACE also stripped the Russian delegation of its voting rights and banned it from participating in the group’s ruling bodies or monitoring missions until the end of that year. In late January of 2015, the sanctions were prolonged for another year. Some Russian lawmakers have suggested that Russia should quit PACE rather than pay its multimillion-euro annual membership fee, arguing that the money would be better directed to international groups that are not biased against Russian. No action has been taken on those proposals so far, however. In February this year, State Duma speaker Sergey Naryshkin told reporters that it would be impossible for PACE monitors to observe the upcoming State Duma elections because of the organization’s continuing censure of the Russian delegation and the anti-Russian bias of the assembly’s representatives. He added that the Russian side believes that many of PACE’s policies and actions are managed from the United States, especially those concerning the group’s relations with Russia.